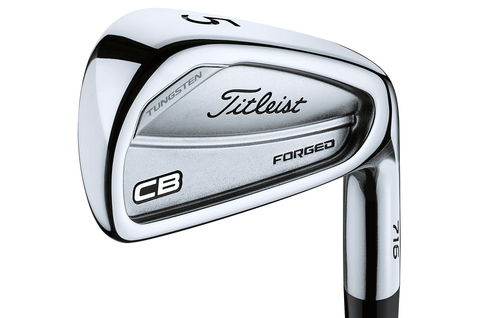 The CB is a co-forged iron with a muscle cavity. At first glance things don't look much different to previous versions, until you notice the 'tungsten' written across the toe. By inserting a heavy tungsten weight in the heel toe of this iron, Titleist have really improved the MOI of this model – it's 12 % more forgiving than the model it's replacing. Comparatively it's as forgiving as the old 714 AP2. Yet it has a very thin, almost blade-like profile at address. The tungsten lowers the centre of gravity to put it in the perfect spot for distance and forgiveness. On the range this was the iron I felt I was striking the best. It feels great, strokes out of the middle felt so pure with a really solid dense strike at impact. 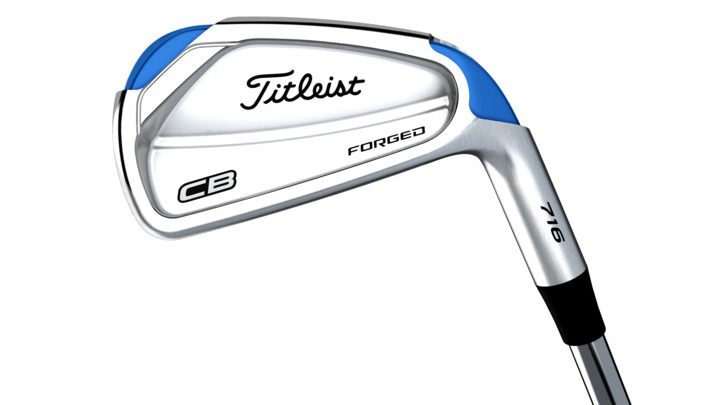 It's maybe a fraction softer than previous Titleist forging as well. One thing I did notice, with its solid forged construction compared to the AP2, ball speeds where a little slower. 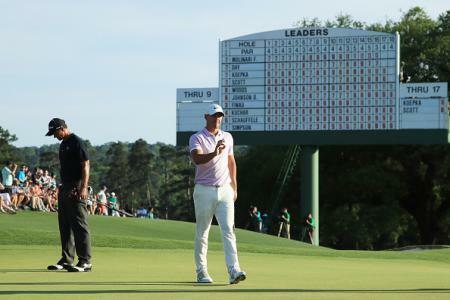 This is to be expected and the type of golfers who would play this model aren't normally looking for extra distance, they are looking for workabilty and feel. This was a real surprise iron. On the face of it this is too much club for most players, but with that added tungsten they've made this iron much more playable. If feel is paramount, but you want a touch of forgiveness this iron is well worth investigating.